Limping is common in dogs, whether it be an elite sporting dog or a family companion. At VESCNM we see patients for many causes of limping. This is the story of Xar. 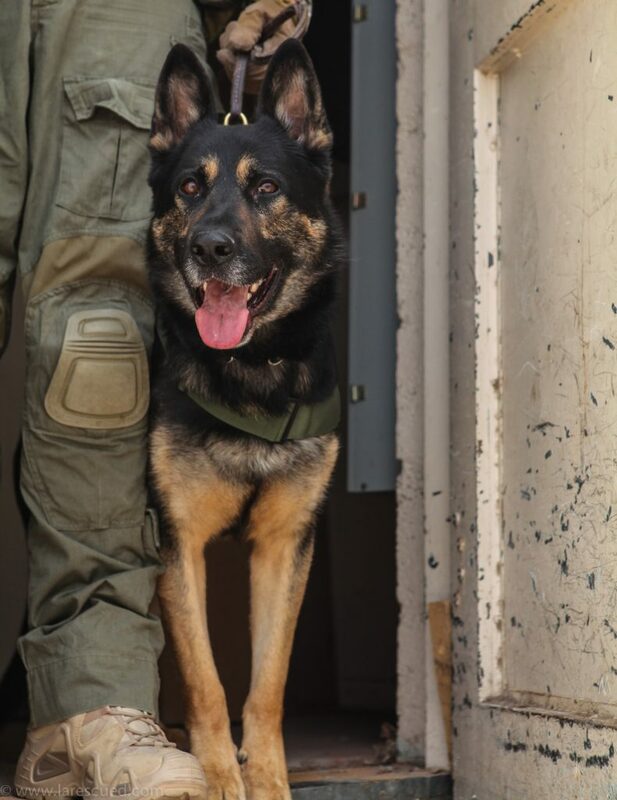 Xar, a seven year old German Shepard Dog, belongs to the Bernalillo County Sheriff’s Department and was brought in for evaluation by the surgery department at VESCNM. He was noted to be limping on his left hindlimb. Based on physical examination and radiographs (x-rays), it was determined that Xar had injured his cranial cruciate ligament in his left stifle (knee). A dog’s knee is similar in anatomy to a human’s knee. It is composed of a thigh bone (femur), shin bone (tibia), cartilage shock absorbers (medial and lateral meniscus) and cruciate ligaments (cranial and caudal cruciate ligaments). The cruciate ligaments are important for stabilizing the stifle. The cranial cruciate ligament is most often injured and is equivalent to a human’s anterior cruciate ligament (ACL). In people, an ACL injury is often a traumatic sporting injury. In dogs, the injury is due to a chronic, degenerative process, usually due to abnormal anatomy. 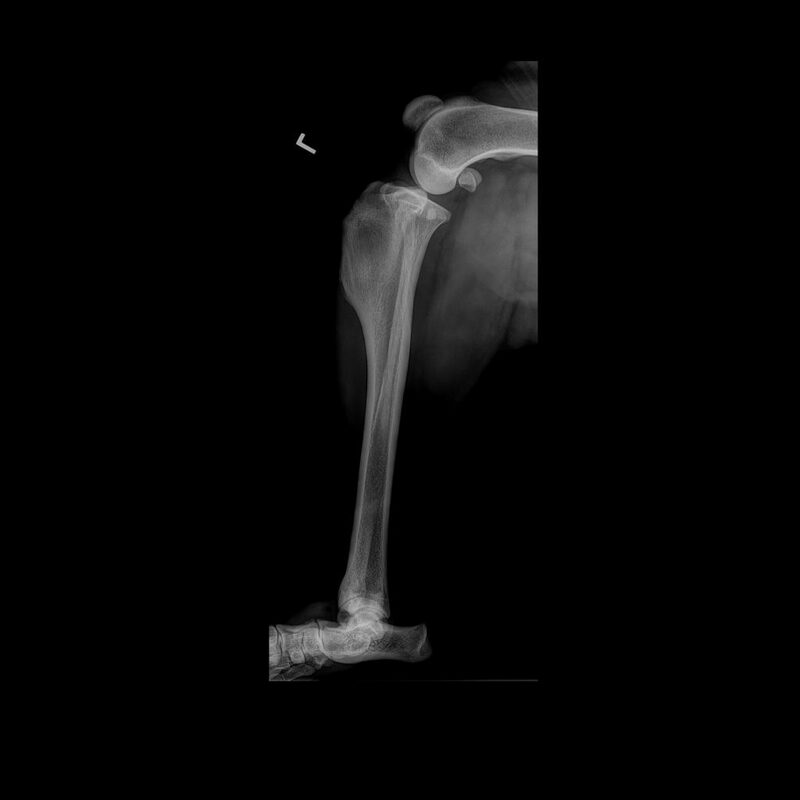 Fortunately for dogs like Xar, the diagnosis of a cruciate ligament injury can often be made on physical examination and radiographs. Rarely is advanced imaging, such as an MRI needed. 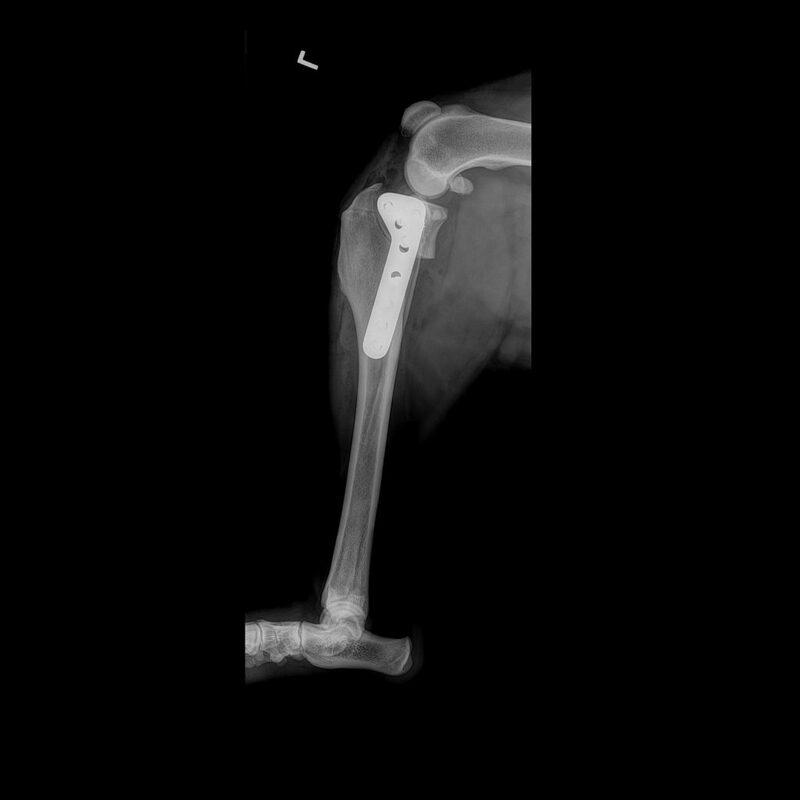 Because of Xar’s breed, conformation and need to return to a high level of activity and Tibial Plateau Leveling Osteotomy (TPLO) procedure was recommended. This is a very different procedure than what is rperformed in humans. The cranial cruciate ligament in dogs is unable to repair itself with rest, medications, or braces and placing grafts in the joint have been ineffective. In order to stabilize the stifle and correct the underlying anatomic abnormality, a bone cutting technique is recommended. With the TLPO procedure, a curved cut is made at the top of the tibia and then rotated to change the anatomy of the knee. A bone plate is used to hold everything in place until the bone heals. This eliminates the need for a cruciate ligament. After surgery patients need 8-12 weeks of limited activity to allow the bone to heal. Once radiographs indicate that the bone has healed, patients are allowed to slowly return to their normal activity. 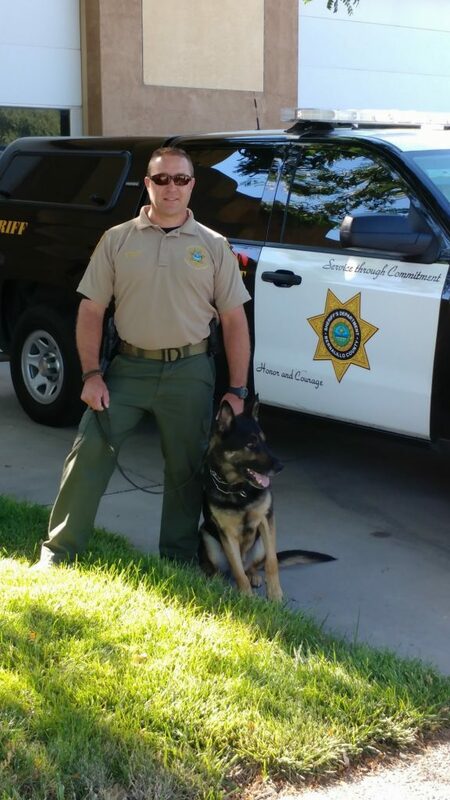 We are happy to report that Xar has returned to duty with the Bernalillo County Sheriff’s Office!